Middle Eastern world music infusing traditional instrumentation and ancient melodies with intercultural & uplifting elements. 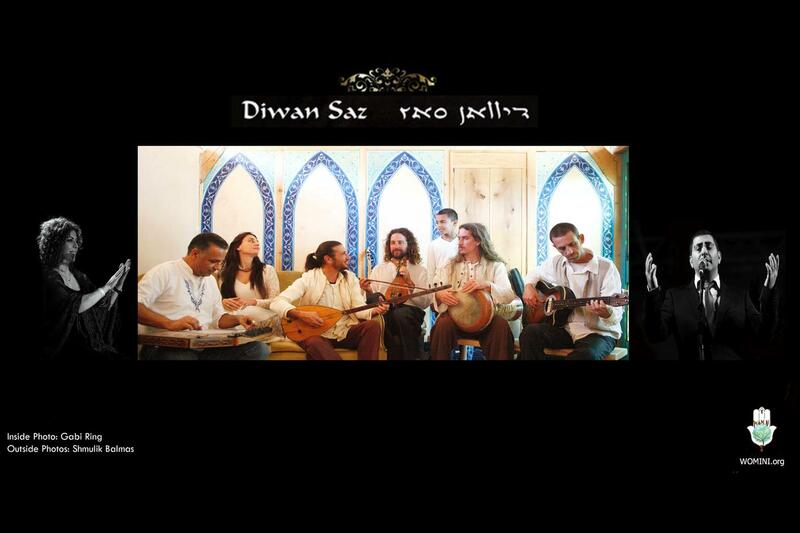 Diwan Saz is a multicultural Jewish ,Christian & Muslim group of 9 musicians who perform ancient music from Central Asia, Turkey, Persia, and the Holy Land - - promoting peace and understanding through music. Diwan Saz marries together two great traditions that coexist in the Holy Land - that of Hebrew and Arab music, The songs are sung together by Amir shahsar , Saead Tarbia & Tzipora El Rei whose powerful voices, rising at times above the instruments, demands almost undivided attention. music of peace. Diwan Saz Interfaith Ensembl (With musicians from Israel , turkey and Iran together). “through music - playing, learning, and teaching together.” The Diwan Saz Interfaith Ensemble, embodies this philosophy through its repertoire of authentic folk and classical music of the Middle East performed by some of the most respected Jewish, Muslim and Christian musicians in the region. The ensemble, led by Musical Director and Baglama musician Yohai Barak, has performed in festivals and venues throughout Europe, Israel , India and several prestigious festivals in the United States and Canada including The South By Southwest Music Festival - Austin Texas. As musicians, artists, teachers and musicians these nine musicians combine their many years of commitment to their art and their communities to bring a “world-class” level of music that exemplifies the power music has to unite people of different faiths and backgrounds.